Andorra is 468 sq km, 5% only is urban land, 36% are forests and the rest are predominantly rugged mountains. the highest being Coma Pedrosa at 2,942 metres (9,652 ft.). The average elevation of Andorra is 1,996 metres (6,549 ft.) and the lowest point is 840 m (2,756 ft.) which is the border crossing into Spain. Andorra is landlocked country in south-western Europe, bordered by Spain and France in the eastern Pyrenees. There are two points in Andorra way up on the ridges where you can put one foot each into France and Spain and reach down and touch Andorra, a useless fact, not yet in Wikipedia ! It is the sixth smallest country in Europe and also the largest of the European microstates. 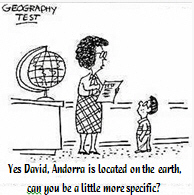 Andorra has the lowest population density amongst the small countries of Europe with 160 persons per sq km. The population of Andorra ( Official estimate as at Dec 2017) was 74,794 persons of which 49% were Andorrans 36,697, there were 18,737 Spanish, 6,968 Portuguese, 3,199 French and as at 2016 figures there were estimated to be 963 British representing 1.5% of the population. Historically Andorra became independent in 1282.